In relation to the double slit experiment. There are other interpretations of the data that do not depend upon contradictory linguistics. Yes there is a pattern. The foolishness is the assumption that the electrons were the sole cause of the interference. For griefs sake, play with the charge of the surface with the slit in it. The thing is practically if not literally an electron gun. Think CRT. 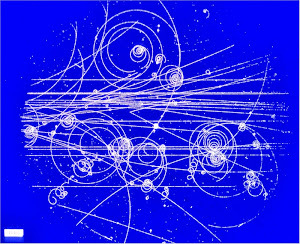 Think of how that electron gun somehow 'magically' manages to draw a picture. Play with the charge across your surface with the double slit and watch the damn defraction light show. I'm sure glad someone else thought of that or DOH!!!! If an electron beam can be played with so easily that it can be manipulated into drawing an image on phosphor covered glass, what could an unintentional background charge across a plate do? 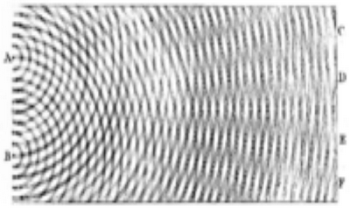 Has anyone who performed this double slit experiment ever watched interference patters and waves on an old TV screen? They were actually kind of fun, and as easy to generate as mom turning on the vacuum cleaner. And when will Intel/Microsoft/etc... introduce encrypted RAM to stop memory hackers from obtaining personal information from the computers of Target/Chase/etc... and which would also stop the game hackers from ruining multiplayer games which various foreign intelligence agencies play all day to destroy our children's morale.